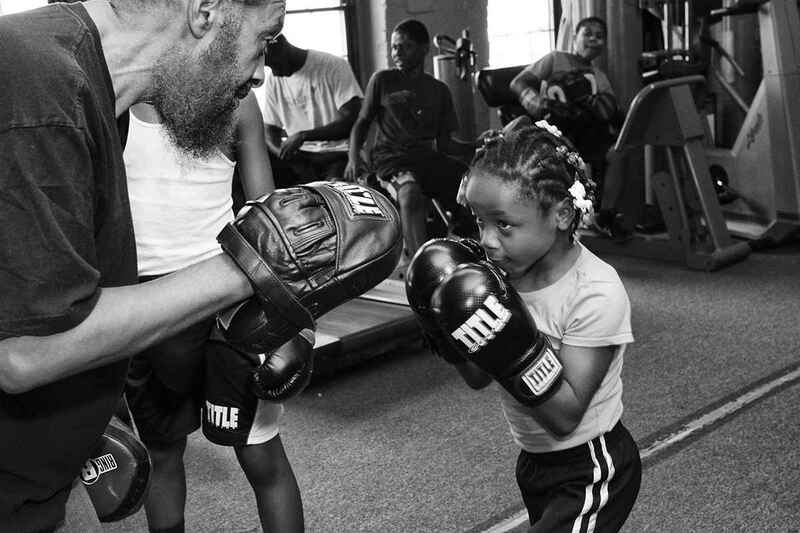 While boxing as a sport and art has receded from popular view, these events still taking place in local urban settings continue to provide a place for character building. Jano Cohen captures those special moments in a series that has a timeless, special quality about it. The gym is a safe place for people of all ages to learn physical skills in a well-loved sport. In the gym I am documenting the evolution of the training of a boxer from childhood. Trainers keep in the game by passing on their knowledge. I am observing how the gym operates as a community center and the intimate relationships between trainers and boxers.